Just because you have a baby you don’t have to give up your healthy lifestyle. Running or Jogging with your babies is an excellent way to lose weight after pregnancy. 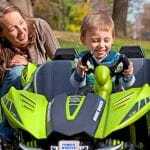 But for that you must chose a safe and top-quality jogging stroller. 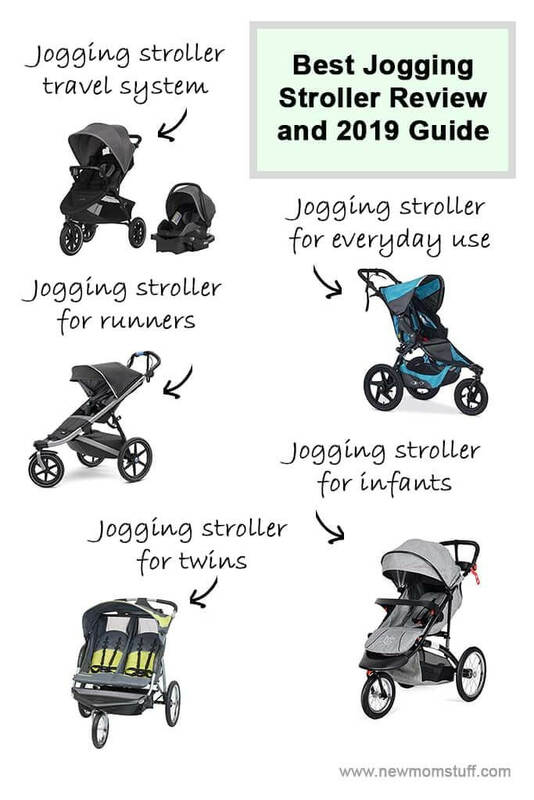 We have narrowed down to the following Jogging Strollers after spending hours in research. 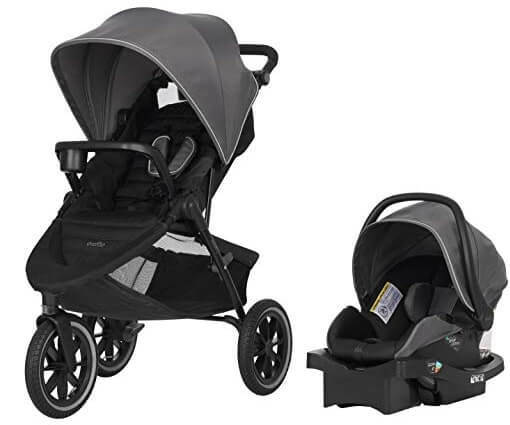 Get the best of both worlds with the Evenflo Folio3 Stroll & Jog Travel System with LiteMax 35 Infant Car Seat. The ultimate crossover stroller is lightweight in design perfect for travel while thick in features in terms of safety and comfort. It comes with premium-grade lightweight frame dressed in unique and compact in-seat fold, large air-filled tires, lockable front wheels with pneumatic swivel mechanism, 5-point harness system, full-coverage canopy with peekaboo window, and adjustable handle for full control. It also comes with a large storage basket, parent-child consoles and parent tray. The LiteMax 35 Infant Car Seat can also be easily attached from stroller to car and vice-versa. Definitely a must-have for traveling, strolling, jogging or even while out and about shopping in the mall. The stroller is easy to assemble. The car seat comes assembled. Need a handy and sturdy buddy to hold your little bundle of joy while out and about? 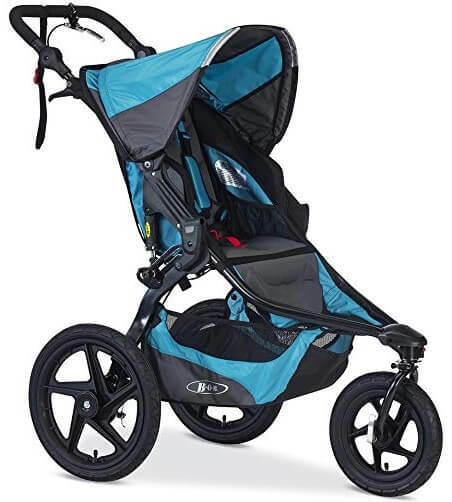 The BOB Revolution PRO Jogging Stroller is perfect for everyday use or for intense workouts and daily strolls, jogs, or runs. It’s lightweight and compact but with highly durable frames to ensure durability. The stroller also comes equipped with air-filled tires with mountain-bike-style suspension system complemented with hand-activated rear-drum brakes and front-wheel swivel and locking mechanism for amazing maneuverability and maximum control wherever, whenever. It also features 5-point zero-rethread harness, ventilated padded seat, large UPF50+ canopy, near-flat recline, and 9-position adjustable handlebar for utmost comfort and safety. Add to that a large storage basket, 1 backseat pocket, and 2 interior seat pockets to carry necessities for both baby and parent when out and about. Comes with and break which is super useful for jogging with the stroller. Locking feature of the front wheel makes it easy for jogging on pavement with your little one. Want more than just a stroll in the park but full-throttle running round the block? 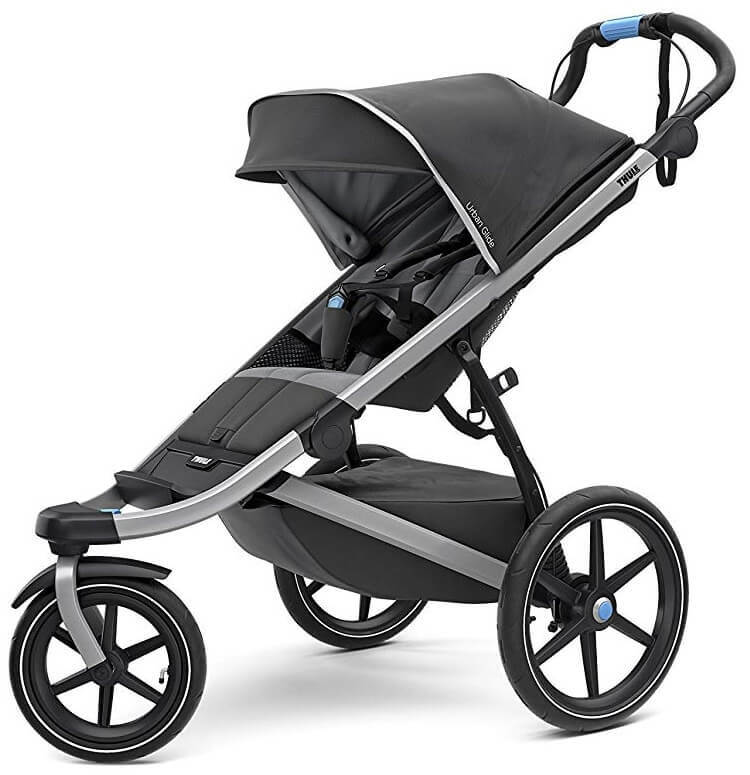 Then, the Thule Urban Glide 2 Jogging Stroller is just what you need. Designed for easy maneuvering, the stroller features an ultra-lightweight frame, large 16-inch rear wheels, swivel front wheel with locking mechanism for jogging, top-notch suspension system, and integrated twist handbrake for more speed control on hilly terrains. Wheels are also designed with reflective rims making it also perfect for dusk time stroll or jogs. The strollers comes with a reclining padded seat equipped with a 5-point harness system and multi-position canopy with side ventilation windows for utmost comfort without sacrificing safety. The ergonomically designed adjustable handlebar also offers better control for a parent while on a jog. Add to that an easy one-hand folding system and large cargo basket with 2 mesh compartments and zip-top cover rear mesh pocket to hold cellphones and keys. Definitely, a handy companion for active urbanites. When running the front wheel locks quickly and the handbrake can be engaged easily to slow down when running downhill. Got twins but still want to go out and about for a stroll or perhaps, walk around the nearby park or round the block to get off those flabby post-pregnancy flabs? 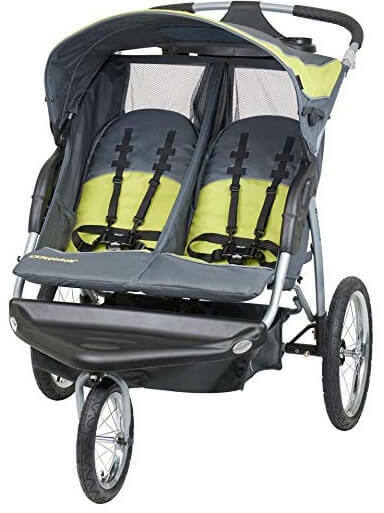 Baby Trend Expedition Double Jogger Stroller is perfect just for you. Though lightweight, the dual-seat stroller can carry 2 kids up to 100lbs in total weight. It features an all-terrain pneumatic rubber bicycle tires with front-locking swivel wheels and foot-activated brake system for that comfy, smooth and safe ride. 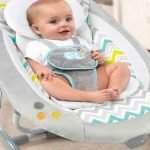 The seat offers multi-position seat recline mechanism and a 5-point safety harness to keep the little one safe, snug and comfy while out and about. 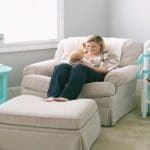 The stroller also comes with a parent tray with 2 cup holders, large storage basket and covered storage compartment to hold baby’s stash. Sunshade is movable and can be adjusted depending on where the sun is. Folds into a little rectangle and is easy to lift. Having an infant at home doesn’t mean you can no longer work out a sweat. Lo and behold, the Baby&Joy Jogger Stroller! Designed for Moms (and Dads, too!) who love the outdoors as much as baby does! Made of premium grade iron frame “dressed” in wearable non-toxic linen seat with 5-point safety harness, this all-terrain stroller is durably crafted with safety in mind. 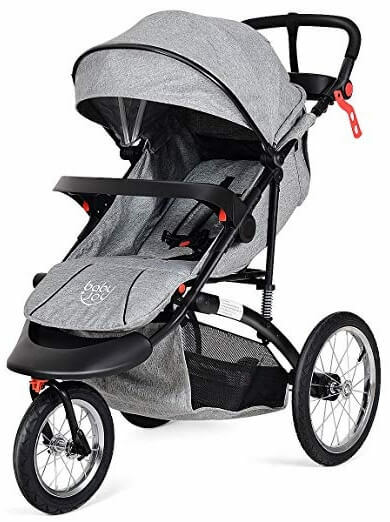 Rubber wheels are air-filled complemented with swiveling wheels and topnotch suspension system ensuring comfort of baby on a smooth ride as you stroll, jog or even go for a run around the block. Add to that an adjustable canopy with skylight, one-touch parking brake, adjustable handlebar, parents tray and extra-large storage basket– and you got everything covered. 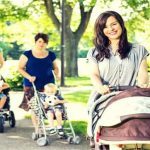 Whether you are looking for jogging stroller for running or for everyday brisk walks, you need to be careful about the basic needs of the stroller. Hope this guide has been useful to help you make the right choice.